Maybe I was a weird kid, but Jamestown was everything that didn’t impress me about Williamsburg. And there really wasn’t much to Jamestown. Jamestown was mostly ruins and empty lots that had once had buildings on them. Jamestown, Virginia was the first permanent British colony in the United States, predating the arrival of the Pilgrims by 13 years. Now, just a little personal background. I’m a Christian, but I grew up in a mainline Protestant denomination and our “youth pastor” was traditionally a seminary student. As a result, I wasn’t taught anything like what passes for Christianity in the greater consciousness of the United States. There wasn’t a single word about the Rapture or anything along those lines. Belief in God, yes, and the divinity of Jesus, of course, and, needless to say, the working of the Holy Spirit in our lives, but also interest, and trust, in the discoveries of science and a real desire to understand history, both of the Middle East and of the United States. As a result, I was not raised in a “The United States is a Christian country” mindset. Looking at the original colonies, there’s Massachusetts, which was founded by Puritans who wanted a home for their new, “purified” Church of England; there’s Pennsylvania, which was a safe space for Quakers; Maryland, which was founded by Catholics, so you can point to them and say, “Look! Christianity!” But then there’s Rhode Island, which was founded by a Puritan minister, Roger Williams, who wanted to found a colony that explicitly had separation of church and state. In fact, within the first 30 years after the founding of Rhode Island, Jewish families from Spain started to move in. The Quakers and Catholics had experienced such profound persecution in England, that they encouraged freedom of religion, as well. So, other than Massachusetts, most of the other religion-based colonies were founded on freedom of religion, rather than on Christianity. How does this connect to Jamestown? Well, Virginia wasn’t t religious at all. It was a commercial venture. As was, by the way, the Roanoke Colony in North Carolina. I don’t know agriculture was so much the original intent, I seem to recall it had more to do with the gold that was supposed to be here, and possibly involved piracy, but eventually these colonies grew tobacco and cotton, which led to that whole slave trade thing. So, Jamestown. The place that started this whole United States thing, and of which there isn’t much left. Jamestown is where John Rolfe met his wife, Rebecca, better known as Pocahontas. There’s apparently some kind of fake village there, but I don’t remember that. I remember a shop that sold blown glass, which might have been the Glasshouse, but that I thought was kind of off by itself. While trying to make Jamestown profitable, they went into the manufacture of glass. We bought three drinking glasses in that shop, though they weren’t particularly fancy, just sort of prolate spheroids (?) with the tops cut off. We noticed that the place where the pipe was attached were different and each chose one. Mine was my preferred drinking glass until I graduated from high school. I wonder where those glasses are now. Probably lost to history, since this was 35 years ago. 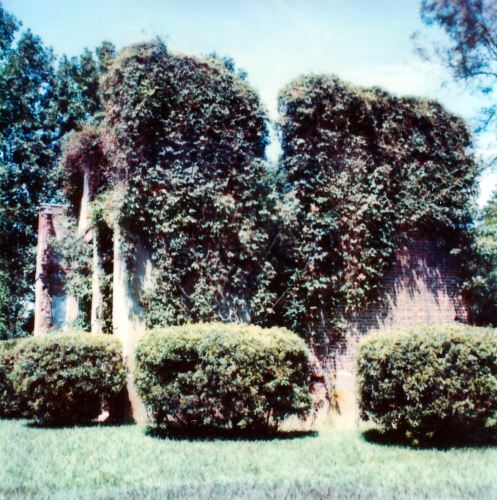 My most vivid memory, however, is standing on the shore of the James River, being told that the fort that started it all, Fort James, was now under the water somewhere. And apparently that information was incorrect. I’m not entirely sure where the park rangers got that impression, but apparently only one corner of the fort had disappeared into the water. They found the foundations of the fort in 1996. I really put the mileage on my state park pass this year. Alex and I may actually have gotten our money’s worth this year. One of our outings was when we took a friend to Lockhart State Park. I wanted to check out Lockhart State Park because of it was built by the Civilian Conservation Corps (“CCC”). The CCC was a way for unemployed men between the ages of 17 and 28 to help the nation out and make some money during the Great Depression. The CCC was founded in 1933 with the goal of not just keeping young employed people busy and help them become more employable, but also to raise awareness of the outdoors. And it worked, on all counts. There was a maximum of 300,000 young men at a time in the CCC, and in the nine years that the CCC existed, over three million young men worked with them, so each young man was with them for just a little more than ten months. Each young man could enroll for up to four six-month periods if they were unable to find work at the end of each six-month period. In order to end up with an average of 10.8 months per participant, a lot of participants must have found jobs after their first six-month period, and very few had trouble finding work for the entire two years. And the rest of the population of the United States gained a lot from the CCC as well. Over 800 parks, 29 of which were in Texas, were built by the CCC. So, having read about the CCC involvement in Lockhart State Park, and having seen a list of the structures they built, I had to go check it out. Unfortunately, I decided to check it out in August, so we didn’t get to explore as much as we would have liked. Alex and I invited a friend to come with us, and we got as early a start as we could, which was around 10 a.m. Lockhart State Park is just south of Austin, so it’s about an hour drive from San Antonio. We had some trouble getting to the park, as there was construction on Texas 130, and Google Maps apparently didn’t know about it. We had hoped that the construction would start after our turn for the park, but the road was blocked off just at the turn, so we had to double back. 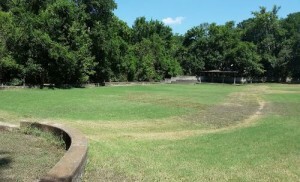 Lockhart State Park has several amenities, including a swimming pool and a nine-hole golf course. If you aren’t interested in golf or swimming, it is still a nice park to visit with around three miles of (unfortunately, not handicap accessible) trails and, from what I can tell, around 20 structures built by the CCC, including a recreation hall and water tower, a residence, a bridge, several check dams, and the golf course. The swimming pool is actually the second swimming pool built at the park. The CCC built a swimming pool which has been filled in. You can still see the outline of the pool on the ground, however. On the whole, we really enjoyed our very brief visit to Lockhart State Park and hope to return now that it’s cooler and explore more. However, unless you are really into state parks, or golf, it might not be worth a special trip. As a side trip from a trip to Austin, however, Lockhart State Park might just be perfect. Many places are dependent on coal for their power. Unfortunately, coal-fired power plants have a lot of drawbacks, chief among them the carbon dioxide that they produce. This carbon dioxide then goes into the atmosphere and helps with (I’m not sure if “helps” is the right word — “contributes to,” maybe?) global climate change. This article primarily focuses on the experiments by coal-fired power plants in sequestering the carbon dioxide underground. In some places, they are pumping the carbon dioxide into caves, and in at least one, the Norwegian Sleipner oil field in the North Sea, they are pumping the carbon dioxide that is an impurity in the natural gas that they are harvesting into a brine-filled aquifer under the North Sea. The scientists and engineers who are doing this acknowledge that it is risky. If these caves and aquifers spring leaks, a natural disaster could result. So, they are monitoring these sequestering locations 24/7. But, as with what people tell me when I tell them about my photo-scanning project, the technology may not always be there. What happens in a thousand years, if our civilization collapses and we lapse into something of a Dark Age and *then* these things spring a leak? I can just see our many-generations-distant descendants declaring these spots off-limits because no one can breathe the air there. It seems like we’re just kicking the can further down the road here. It’s a pity that it would be prohibitively expensive, from an energy-use standpoint, to break the bonds between the carbon and oxygen. We’d end up with a big pile of carbon (which, maybe, could be reused as pencil leads or something?) and a lot more oxygen. And the increased oxygen would make the climate cooler, as well, I think. I ran that past Alex, and he agreed that it sounds to him that it would be the net effect, so there’s that. Of course, since oxygen does make things cooler, you would have to release the oxygen pretty far from the plant, because the oxygen would either make the plant explode, or would make the plant cooler, which would defeat the purpose of the fire in the plant. Personally, I would like to see all parking lots, at least in the area from, oh, about the 30th or 35th parallels north to the 30th or 35th parallels south (so that they won’t spend the winter covered in snow) should be covered with solar panels. This would be a win-win-win situation. The landowner would get at least some free electricity from the panels, there would be less demand for coal-fired power, and, in the summer, the air conditioning in the cars would take effect faster, using less gasoline. I’m also a big fan of planting trees. I take Matthew 6:2 very seriously, which leads me to be reluctant to make a big deal out of charity donations that I have made, but I guess it’s safe to say that I have two favorites. One is the Plant a Billion Trees project of the Nature Conservancy (they have other projects, but I usually donate to their attempt to reforest the Atlantic rainforest in Brazil). The other is American Forests. My favorite of their projects is their Urban Forests project, which is, well, planting trees in cities, and making things better both ecologically and psychologically. The two atolls of the title are Île Europa and Bassas da India, two teritories of France (despite the Portuguese name of Bassas da India) that are in between Madagascar and Mozambique. The two atolls are very different — Île Europa is an actual island with trees everything, and Bassas da India is just a ring of rock, but together, they support a wide variety of wildlife, including birds, sea turtles and Galapagos sharks. As I recall, we just spent a day or so in Colonial Williamsburg, a sort of “living history museum,” but it felt to me more like a theme park experience of the colonial era. The area consists of both original and reconstructed buildings that are made to look like they did/would have (as appropriate) looked during the Colonial era. The residents dress in Colonial-style clothing and engage in Colonial-era skills and trades. Since we didn’t spend a whole lot of time there, I don’t have much memory of the tradespeople plying their trades and things of that nature. I was also just a little old for the activities that were targeted at small children. I do remember at some point during social studies (since this is 1979, it was either fifth or seventh grade) being told that The College of William & Mary was the oldest public university in the United States, so when I realized that it was right there, I insisted on at least getting a glimpse of it. We stopped by quickly and my dad took a picture of one of the buildings. It turns out to be the Brafferton Building, the second-oldest building on campus. The Brafferton originally was the “Indian School,” and now is home to the offices of the President and Provost. The original photo was entirely too blue, to I took a stab at making the colors look a little more like the building looks in the pictures I saw online. I don’t know how close it is to the way the building looks in real life. The Brafferton Building, College of William and Mary. It is sort of fortuitous that I ended up in Williamsburg on this post, since a recent Cracked article talked about the town from the perspective of one of the residents: 5 Insane Realities Of My Life In A Fake Colonial Town. I honestly did not make this post just because that article reminded me of this visit. It was just a timely coincidence. 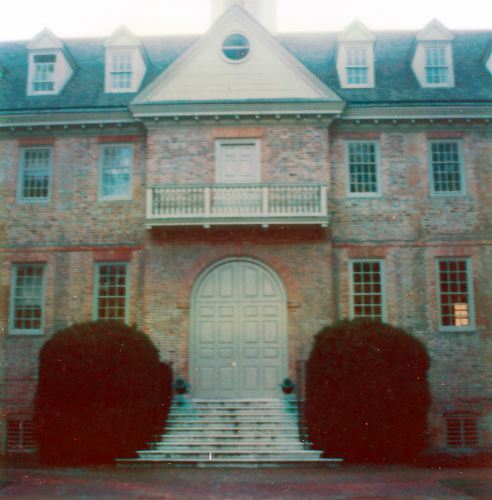 My folks went back to Colonial Williamsburg at least once since we were there as a family. I, on the other hand, have not felt any such impulse. Maybe someday, once I’ve been everywhere else, I’ll make a return trip. It was nice, but it’s not in the top ten of places that I would like to visit again. True Colors is about chameleons. Edmonds goes into the conservation status of chameleons (threatened or near threatened) and a bit about habitats and such, but ultimately the meat of this article is about how chameleons change color and why they do so. Chameleons largely change color as a means of communication. A red chameleon is feeling aggressive, but when it feels submissive, it will turn brown. In one species, at least, the females turn pink when they’re ready to mate, and then fade so that the pink is on a brown background once they are carrying fertilized eggs. As to the “how,” apparently, chameleons have a specialized skin layer that has crystals in it that cluster together or spread apart. As the crystals spread out, the color becomes warmer, going from green to yellow or orange or red. Afghanistan needs money. To that end, they have leased an area outside Kabul, which is one of the world’s richest sources of copper, to a Chinese company so that the Chinese company can extract the copper. Mining was supposed to have begun in 2012, but the presence of the Taliban and difficulty in agreeing to the terms of the mining have led to a delay in beginning work. This has given the archaeologists a chance to get in there to study the site and extract as many artifacts as they can. You see, for a period of five hundred years, beginning in the third century A.D., Mes Aynak was the home to a Buddhist community. Not many Buddhists were involved in heavy industry, but these Buddhists were, so the study being done at Mes Aynak will tell the archaeologists there, and from there, to the rest of the world, about the relationship between Buddhists and heavy industry. Years ago, I did some volunteer work with some archaeologists and I discovered that much of the digging-and-sifting work done on dig sites is done by volunteers. I want to explore South Texas thoroughly over these next few years because once Alex is out of college (around eight years from now), I’m leaving Texas. And part of how I will “shop” for a new home is that I will be looking for active archaeological schools and other organizations that will take volunteers. Doing the digging-and-sifting work, so long as it’s not in the hot South Texas sun, sounds, to me, like a lot of fun. While working with the archaeologists, by the way, I got a chance to read some of the field reports put together by the Archaeologists at the Center for Archaeological Research at the University of Texas at San Antonio. As I create my South Texas Destinations writeups I will occasionally refer to, and, when possible, link to some of these reports. I’m due for another Northern Illinois Destination, and since I have another 1979 travel memories that is also a Northern Illinois Destination, I figured why not? I don’t think that travel memories and Northern Illinois/South Texas destinations will ever converge like this again. The next Illinois travel memory, from 1980, will be Central Illinois. The McCormick family were kind of a big deal in Chicago. Cyrus McCormick, Sr. held a patent on a mechanical reaper which changed the face of agriculture forever. The reaper was also the basis for the McCormick Harvesting Machine Company, which was later folded into International Harvester Company and is now Navistar International Corporation. Another founder of the McCormick Harvesting Machine Company was Cyrus’s younger brother, Leander McCormick. Leander was something of a real estate magnate. Leander’s great-grandson, Robert R. McCormick, grew up in the McCormick mansion on Rush Street, a building that was, for most of my life, the Chez Paul restaurant in Chicago. As an adult Robert was a politician and a soldier, first with the Illinois National Guard, then in the United States Army, where he served during World War I and reached the rank of Colonel. People referred to him as “Colonel McCormick” for the rest of his life. After the war, McCormick founded a farm in Wheaton, Illinois, which he named for the Cantigny region of France. He and both his first and second wives lived there for the rest of their lives, and the farm is now a public park. Entrance into the park is free, but there is a parking fee. At the time I write this, the parking fee is $5 during the early hours in the day, but later in the day, the price drops to $2. We toured the house and probably also the First Division Museum, which documents the history of the First Infantry Division, which had been McCormick’s division when he was in the Army. The farmlands are now gardens. As you probably could guess, from my previous comments about being most interested in books and plants, this is what I remember best. The gardens of Cantigny are pretty well-known, apparently, though they have probably changed quite a bit in the 36 years since I was there. One of the most famous is the rose garden. My parents and I saw the most fascinating rose there. 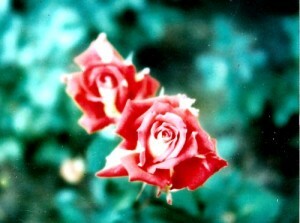 The petals were white on one side and red on the other. Years later, I asked my mom where we had seen that rose, and she denied ever having seen such a thing. Rose with red and white petals from our trip to Cantigny. The house, museum, and grounds are all handicap accessible. Additionally, the park has a tram service for those who cannot walk between the attractions. I do not know if the trams can handle wheelchairs, however.